.38 Special 125 Grain TCFP BLACK Hi-Tek Coated Lead Cowboy Action– With our 100% hand-loading techniques- We place the same care and passion into each and every round produced as those do in their own private loading rooms. These techniques produce the most reliable, accurate round of ammunition available on the market today! The .38 Special Cowboy Action line is developed for Cowboy Action Shooters by Cowboy Action (SASS) Shooters. Our mild shooting Cowboy Action line meets SASS Power Factors, yet are a pleasure to shoot in repetition with minimal kick back or recoil. We use a unique heat-set “HI-TEK Supercoat” manufactured in Australia, where it has been used for more than 20 years. The Hi-Tek Supercoat Bullet Coating totally encapsulates the lead projectiles and replaces standard wax lube. These .38 Special Cowboy Action Hi-Tek Coated Lead 125 grain TCFP rounds feed reliably in Lever Guns as well. 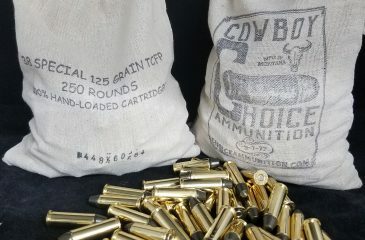 .38 Special Cowboy Action Hi-Tek Coated Lead 125 grain RNFP- With our 100% hand-loading techniques- We place the same care and passion into each and every round produced as those do in their own private loading rooms. These techniques produce the most reliable, accurate round of ammunition available on the market today! The .38 Special Cowboy Action line is developed for Cowboy Action Shooters by Cowboy Action (SASS) Shooters. 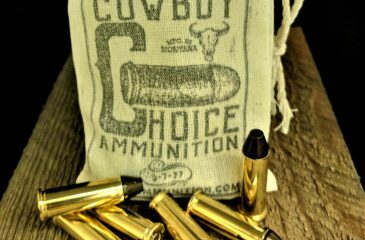 Our mild shooting Cowboy Action line meets SASS Power Factors, yet are a pleasure to shoot in repetition with minimal kick back or recoil. 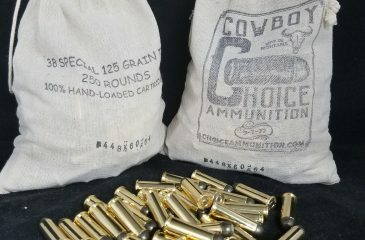 .38 Special Cowboy Action Hi-Tek Coated Lead 158 grain RNFP- With our 100% hand-loading techniques- We place the same care and passion into each and every round produced as those do in their own private loading rooms. 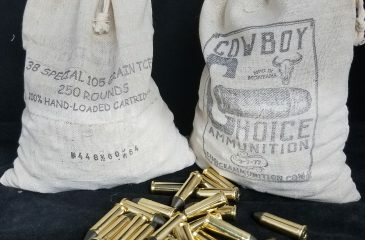 These techniques produce the most reliable, accurate round of ammunition available on the market today! The .38 Special Cowboy Action line is developed for Cowboy Action Shooters by Cowboy Action (SASS) Shooters. 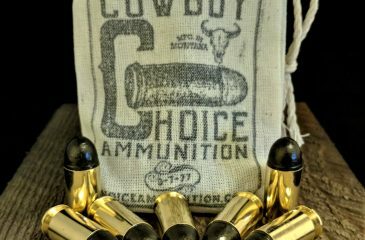 Our mild shooting Cowboy Action line meets SASS Power Factors, yet are a pleasure to shoot in repetition with minimal kick back or recoil. .38 Special 105 Grain TCFP BLACK Hi-Tek Coated Lead Cowboy Action- With our 100% hand-loading techniques- We place the same care and passion into each and every round produced as those do in their own private loading rooms. These techniques produce the most reliable, accurate round of ammunition available on the market today! The .38 Special Cowboy Action line is developed for Cowboy Action Shooters by Cowboy Action (SASS) Shooters. 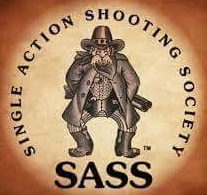 Our mild shooting Cowboy Action line meets SASS Power Factors, yet are a pleasure to shoot in repetition with minimal kick back or recoil. 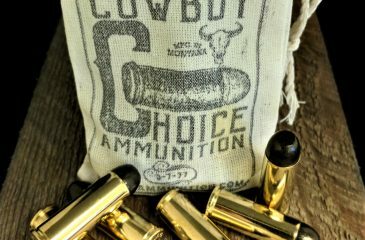 NEW BLACK Hi-Tek Coated Bullets !! Almost ZERO Lead Fouling !! 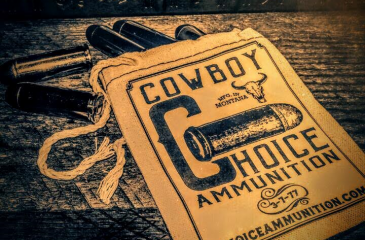 Developed by Real Cowboy Action Shooters! A true CAS competition load. Low recoil, super accurate revolver round which feeds very reliably in lever guns. 100% Hand Loaded! We put the same care into each round as you would at your loading bench. Meets SASS Power Factor.